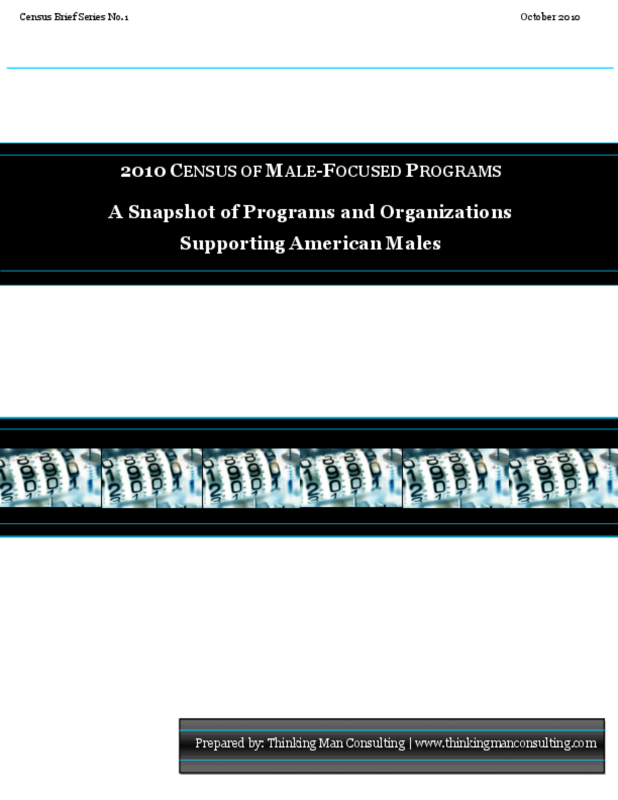 This paper analyzes the findings of a survey taken by over 300 organizations across the U.S. who engage in male-focused programs and initiatives. It discusses the organizational capacity of the survey respondents, services they provide, demographic groups they serve, and geographic areas they support. Copyright 2010 Thinking Man Consulting.